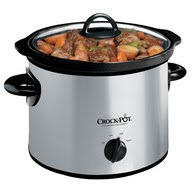 Lowe's - Get this crockpot for $9.99 ($19.99 value) - today only! There are many other deals for Cyber Monday here. Also get free shipping on select items when you spend $49. The Limited - 40% off everything! Plus FREE shipping! (no coupon needed, prices reflect sale price) And if you spend $50 or more you will get a free scarf. Amazon - there are lots of Cyber Monday deals to be had at Amazon today. They are also offering Lightning deals that appear fast and then are gone!